Hot, Sour, Salty, Sweet | Shelf Elf: read, write, rave. 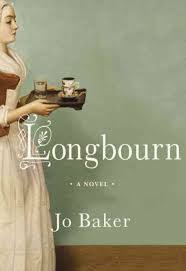 If a novel involves food, it automatically jumps up a few notches on my reading-enjoyment scale. 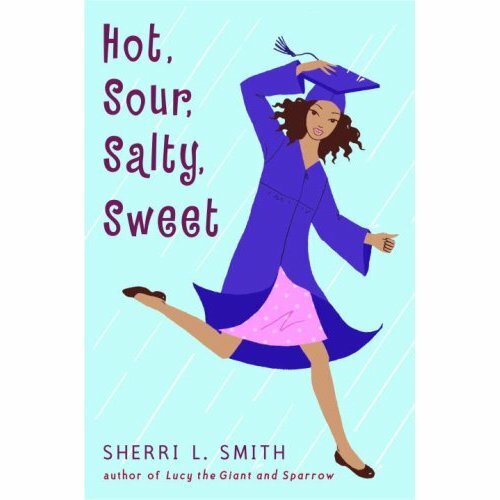 So naturally, I’ve been interested to read Sherri L. Smith’s book, Hot, Sour, Salty, Sweet since I first heard about it a few months ago. As the title suggests, Smith’s novel centres around yummy things, specifically how different tastes play around together to make complex dishes and interesting cuisines. Ana Shen, the central character, is herself a blend of cultures and histories, as her mother is African American and her father is Chinese American. Her Social Studies teacher calls Ana’s family, “marvelously biracial” and “multicultural.” Ana’s just Ana, and she doesn’t think too much about how interesting she might be to anyone else, but she does sometimes think about how complicated it is to have grandparents who just don’t seem to “get” each other, and who barely disguise their judgments of one another whenever they’re together. Hot, Sour, Salty, Sweet takes place in a single day, the day of Ana’s eighth grade graduation. Her Grandma and Grandpa and her Nai Nai and Ye Ye are in town to mark the occasion, which means Ana is just a little nervous about the possibility of impending arguments or at the very least, some serious tension. At the same time, she’s anticipating the grad dance, and in particular, dancing with her crush, Jamie Tabata. After a minor disaster during the graduation ceremony leads to the cancellation of the dance, Ana ends up planning her own party at the last minute, including a dinner that will be prepared by various members of her family. She’s not sure how everyone is going to work together to make this happen, but in only four hours, Jamie Tabata and his parents will be joining them for a home-cooked feast, Shen-style. What’s great about Sherri Smith’s book is that it feels like you’re taking a look inside a typical family’s home, watching them cooking and arguing and trying to say what they mean but not always getting it right. There is a very natural tone throughout that makes you feel like you completely get the relationships between Ana and her parents and her grandparents. She loves them. They love her. They drive her crazy. She’s tired of being the mediator, always trying to smooth things over between her sets of grandparents. In some ways, it seems like she wishes she could change them. I liked how these relationships were portrayed as messy and complicated but in the end, essentially strong and supportive. In case you’re wondering, the book is not a hit-you-over-the-head exploration of identity and what it’s like to be caught between cultures. These themes are there, but really the book looks at Ana’s uncertainty at a time of change in her life, as she moves towards a new school and new experiences. She wonders about her future, and she wonders about where she comes from, but she also wonders if she’s going to get her first kiss anytime soon and whether or not she should dye her hair. That’s real life. The small questions and the bigger ones. You’ll find both in Sherri Smith’s book. You’ll also probably find yourself wanting some fried chicken and gumbo and pork dumplings too. Be warned. Visit Sherri L. Smith’s website for more about her and her books, and you’ll find a Reading Guide for this title there too. This entry was posted in Cybils, Middle Grade, Teen/YA, YumYum on November 29, 2008 by shelfelf. Sounds interesting. I’ll have to read it soon. It’s a fun book, and totally good for a middle school graduation present.